The TECHT EZ View Cyclone Feed Housing Clear Housing Replacement. 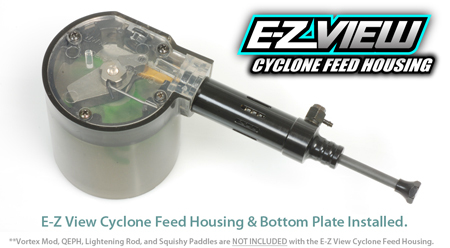 The TECHT E-Z View Cyclone Feed Housing is designed to replace your stock housing. The E-Z View Housing allows players to easily see if they are running low on paint, or if they have broken paint in their hopper. The Kit Includes both the E-Z View Housing & the E-Z View Bottom Plate. 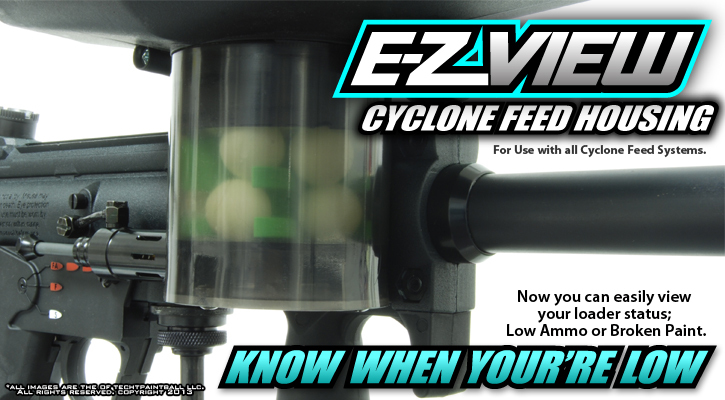 The E-Z View Bottom Plate allows players to easily check the status of their cyclone feed internals. The E-Z View Housing is made from an extremely high-impact resistant plastic. 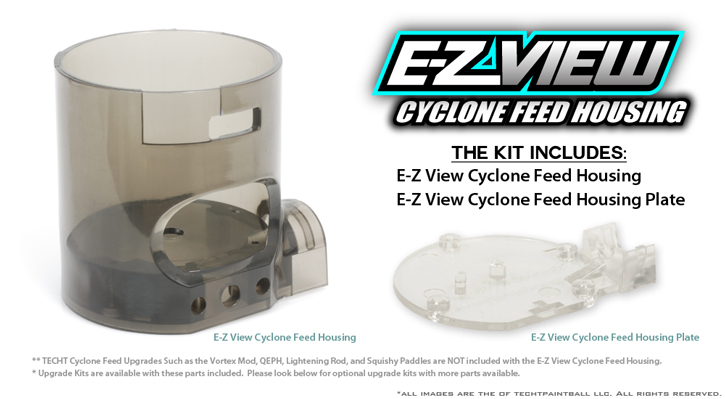 The EZ View Cyclone Housing carries the full TECHT Lifetime Warranty. ALL NEW VERSION 2! Same design as before, but now EVEN STRONGER!!! MADE FROM POLYCARBONATE! MADE FROM STRONG ABS and MORE AFFORDABLE! Works great and stands up to being shot point blank!